When must commissions and bonuses be paid in California? Commissions and bonuses can be great incentives to work more efficiently, harder, and longer. We at California Labor Law Employment Attorneys Group know Living in Los Angeles is expensive and that little bit of extra pay can make a huge difference in your quality of life. No more ramen for the rest of the week! But there aresituations significantly worse than living on ramen for 7 days straight. What, you ask? Not receiving that bonus or commission you earned from work! Make sure you are receiving your commission and bonuses you are entitled to in a timely fashion according to the law. California Law’s Labor Code Section 204.1 states that commission wages are defined as a compensation that is a percentage of the sale of an employee’s service or product. Commission must be paid twice each month on a regular pay day. This date must have been established in advance by the employer. Commission differs from bonuses because they are a result from a sale, not an extra task performed. Labor Code Section 2751 requires companies to provide the employee a written contract regarding commission pay, which must include how the commission is calculated and paid. The contract must be signed by both the employer and employee. Anytime commission plans have changed, a new contract must be issued. – Can I sue if my employer paid me in cash? Not all compensations from sales are considered commissions. Short term productivity bonuses, temporary incentive payments under contract, and bonus and profit-sharing plans are not legally considered commissions and do not have to adhere to Section 2751. However, Sections 2751 applies to both exempt and non-exempt employees. 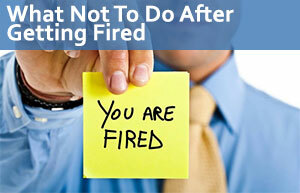 If you have been terminated from your job, it’s important you receive all your wages. Section 201(a) of the California Labor Code states that commission must be paid immediately at the end of employment. However, this can be complicated because a commission cannot be paid until all the information for calculating has been received. This may act as a loophole to not always receive your full wages instantly after you have left your job. If you have given notice for your job, the law requires that you receive your pay at least 72 hours before your last day. If you have not given notice, you must receive your pay within 72 hours after you have finished. Bonuses are additional pay to an employee’s regular compensation. There are two types of bonuses: discretionary and non-discretionary. A discretionary bonus is given without the requirement of an employee to perform anything extra. One common example would be a Christmas bonus, which is basically given as a gift to an employee. A non-discretionary, in contrast, is in relation to an employee’s performance. Once an employee has satisfied a certain task or condition, the bonus can be given. This bonus, legally, must be included in the calculation of an employee’s overtime rate, while discretionary bonuses are not to be included. Overtime rate in California is 1.5 times the regular rate of compensation if an employee has worked over 8 hours in one day or over 40 hours in a week. – What are the laws on unpaid or late-paid commission? If you a California commissioned employee then you may be exempt from being paid overtime. To count as a commissioned employee, your wages are over 50% made from commissions and earn at least 1.5 times the minimum wage, then you are classified as exempt from overtime pay. But this exemption only lasts during the pay period that you meet these requirements, so it’s possible you are exempt for one pay period and non-exempt for another. A bonus is considered a type of wage and must adhere to the law under California’s Labor Code Section 204, which states a wages must be paid twice a month on a date specified in advance and is determined as payday. Bonuses must be paid on the payday of that pay period. Both cash and non-cash bonuses must be taxed and be present on paystubs. Section 204 also requires payment for work that was performed between the 1st and 15th of the month must be distributed between the 16th and 26th. Wages from work performed between the 16th and the end of the month must be paid between the 1st and 10th of the following month. If your employer has not adhered to the law, and you did not receive your commission payment after leaving your job within the manner the law outlines, you are entitled to wages as if you continued to work starting from your payment was due to up to when the payment is made or 30 days. One of employment attorneys at California Labor Law Employment Attorneys Group can help you file a claim against your employee for any unlawful wage pay practices. If you did not receive your earned non-discretionary bonus or commissions, or received it late, you will want to speak with one of our lawyers to determine what the next steps would be to both collect your rightful compensation as well as get back at your employer for their unlawful practices. We offer a consultation about your claims free of charge. All you have to do is pick up the phone and give us a call, or come in to one of our offices in California. If you decide to file a lawsuit against your employer for not being paid your wages fairly or on time, we will take on your case free of charge as well. We offer a zero-fee guarantee. This means you don’t have to pay anything unless we win your case. Getting paid for your job is vital, so do not wait to take action and claim the compensation you deserve for you hard work. If you are already working with an attorney, we are happy to take a second look at your claim and give you a second opinion free of charge. Take control of your earnings and your life today! – Can I be fired for taking time off to vote? – File a Discrimination Lawsuit for Cancer Diagnosis? – Can My Employer Deduct It From My Wages? – When must commissions and bonuses be paid? – Can my employer cut my hours or my salary? – My Race Caused a Wage Reduction? – Can Employers Ask for an Applicant’s Medical Records?